The history of Portmore dates as far back as 900AD and is one that encompasses a rich and compelling past that can be traced through different groups of people and localities that have made significant impact on the area today. The Municipality of Portmore, in the Parish of St. Catherine, was originally created to relieve the housing pressures of Kingston’s bourgeoning population and was built on low-lying swampland that was dredged and filled. The community began to explode with the construction of the Causeway, a roadway built on a sliver of land separating Hunt’s Bay from the Kingston Harbor that provided a direct connection between downtown Kingston and the new housing communities. Today, with a population of over 200,000, Portmore houses the majority of the city of Kingston’s labor force and is one of the largest housing developments in the English-speaking Caribbean. In many ways, the Portmore community reflects the aspirations and the achievements of the majority of middle-class Jamaicans. When the first communities were being created in the 1960s, the spirit of independence defined many of the plans of the time, and the ethos behind the township was that of a planned, suburban community with the capacity for individualism and community growth. This spirit was reflected in the naming of some of the older housing schemes; names such as Independence City and Garveymeade (after the ardent advocate of Black sovereignty and self-determination, Marcus Garvey) hint at the ideas behind the planning. The houses were deliberately built in a way that allowed homeowners to make additions or to add their own personal tastes onto the basic units provided. Intended mainly for middle and low-income workers, the schemes allowed many people who would otherwise not be able to afford a home, the opportunity to work and pay for their own land over time. With a small down payment, a family could acquire a unit, and as it saved and earned more money, could build or expand the house to suit its needs. That aspect of Portmore’s development has remained consistent through the years, and today one of the most distinctive features of Portmore is the uniqueness of each house, each street, and each neighborhood. Over the years, the citizens lobbied the Government for their own Municipality and in 2001 the City Council was formed to create a model for Portmore. 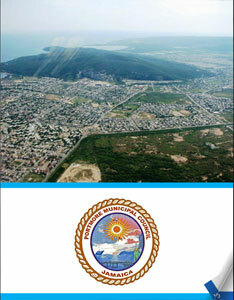 In 2003, Portmore was granted Municipal status and became a Municipality, unto itself. Today, it is the only Municipality with a directly-elected Mayor in the English-speaking Caribbean. Over the last decade, Portmore has grown from eight municipal council divisions to twelve, and according to its current Acting Mayor, Leon Thomas, it is still looking to grow larger. 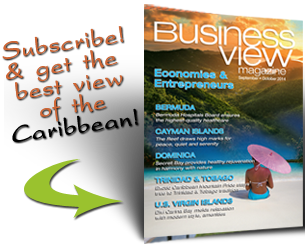 “We have the land mass for any major development that anyone would want to do in Portmore,” he explains. “So, we are inviting people to come on down and look to Portmore for investment.” In its desire to attract new businesses, especially light manufacturing, the Municipality advertises its friendly zoning and speedy approval procedures. Plans for future development include: the expansion of port facilities; the construction of a world-class private medical hospital, which will cater to both local and foreign clients; a major bus hub that will occupy over twelve acres; new Information Technology (IT) plants in the Naggo Head area of the Municipality that will provide hundreds of jobs; and additional housing developments to come on stream. According to Thomas, the Municipality is also in discussions with a German solar company that plans to set up a solar plant in Portmore “to use our sunshine to generate electricity for our residents and businesses.” The plant will also produce solar equipment, creating hundreds of jobs for area residents. In addition, ground has already been broken for a Municipal, Climate Change Park, which will be called the Portmore/Hagen Climate Change Park – a 15-acre property that will showcase the best current environmental practices, featuring mini-windmills, a solar array, and recycling and rainfall harvesting demonstrations, among other exhibits. The park will be a learning resource for the city’s school children, the general population of Portmore, and visitors to the city. While Portmore is not marketed as a tourist destination for the millions of incoming travelers to Jamaica every year, there are many places there for entertainment, eating, relaxing, and enjoyment, including numerous restaurants, nightclubs, stores, and hotels. Both Fort Clarence Beach and the Helshire Half Moon beach are famous for their festivals, white sands, and abundant marine life. Portmore is also home to the Portmore Mall, the largest shopping center in the English-speaking Caribbean, and Caymanas Park, the island’s only race track.